It’s time to think outside of the box. Now, don’t get me wrong, I absolutely love a classic square afghan, but sometimes I get a little bored with the all-square patterns. 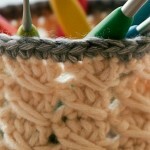 I’ll switch up the stitches or type of pattern, but there are times when I just need something fresh and new. Whenever the old tricks don’t work and I need to really switch things up, I turn to the always interesting and beautiful round afghan patterns. Whether you do a classic round afghan or a 12 or 24 point afghan, there are so many options to crochet. Check out the awesome round afghan patterns below! 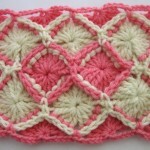 12 Point Round Ripple – This is one crochet afghan that will be loved by all. Lollipop Baby Blanket – What an incredibly sweet baby blanket! Hypnotize Me Blanket – Your eye will be going round and round just like your crochet hook. Raspberry Sherbet Round Ripple – This pattern is deliciously fun! Layered Circles Round Afghan – Full of wonderful texture. Kew Gardens Afghan – I absolutely love the color scheme of this crochet pattern. 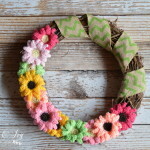 Beginner’s Round Ripple – The perfect pattern for summer! Ferris Wheel Baby Blanket – Rounds of pastels makes this pattern light and eye-catching. Down in the Valley Afghan – The ultimate way to add a splash of color to your home! Spiderman Round Ripple Afghan – The perfect pattern for any comic book or super hero nut! Circle Lapghan – Get ready to have one cuddle-worthy lapghan. 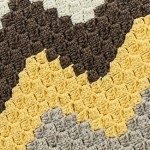 Shell and V-Stitch Round Ripple Blanket – This afghan has everything, literally. Garden Gate Afghan Crochet Pattern – Hello, perfect spring afghan pattern! Skipping Stones Circular Afghan – I’m absolutely in love with this round afghan, you have to check it out! Pink 24 Point Round Ripple – If you’re a fan of pink, then you’ll LOVE this pattern. Umbrella Spiral Blanket – This pastel afghan is mesmerizing. French Country Round Ripple – Talk about a b-e-a-u-tiful afghan pattern. Tiffany Blue Round Ripple – How can you not love this lovely light crochet round ripple afghan? What type of patterns do you love? AllFreeCrochetAfghanPatterns is dedicated to the best free crochet afghan patterns, tutorials, tips and articles on crochet. 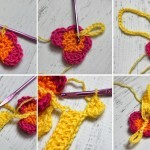 From easy crochet afghan patterns to complex Tunisian crochet patterns, we find and deliver the best free crochet patterns from all over the web. Plus, we feature free product reviews and giveaways of all the latest and greatest products including yarn, crochet books, totes, and more. 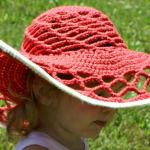 AllFreeCrochetAfghanPatterns is a wonderful online resource for crocheters of all skill levels. Ripple . That’s the first crochet stitch that I learned and was able to complete successfully! 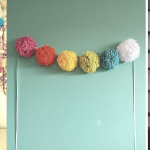 Where is the pattern for the pretty turquoise round ripple in the picture???? Looking forward to trying my first afghan in the round! 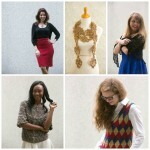 Thank you all for sharing your patterns and photos!